"They pull a knife, you pull a gun. He sends one of yours to the hospital, you send one of his to the morgue. That's the Chicago way! " In The Chicago Way you control a gang of driven men determined to achieve their goals no matter the cost. Choose from hard nosed Gangsters, two-bit gangs of Moonshiners, unswerving Prohibition Agents or bright-eyed squads of Police officers. Campaigns in The Chicago Way represent a season of violent activity as the “good guys” and “bad guys” tussle for control of their patch against rival bootleggers, or to sweep the streets clean of the criminal fraternity. 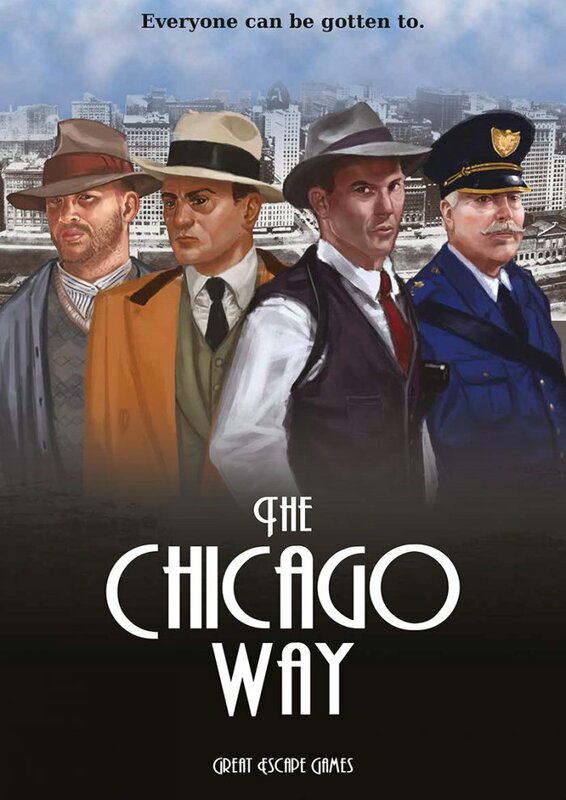 The Chicago Way is the 28mm skirmish game in Prohibition era United States from Great Escape Games. With an accompanying range of 28mm miniatures, vehicles and pre-painted buildings, players can gun down the opposition as they vie for control of the city. The Chicago Way rule book provides all the rules to play, four competing factions and a campaign system in which your characters gain skills and your boss exerts his influence over his rivals. The rule book comes with a 54 deck of The Chicago Way cards and an A3 campaign map/ poster.